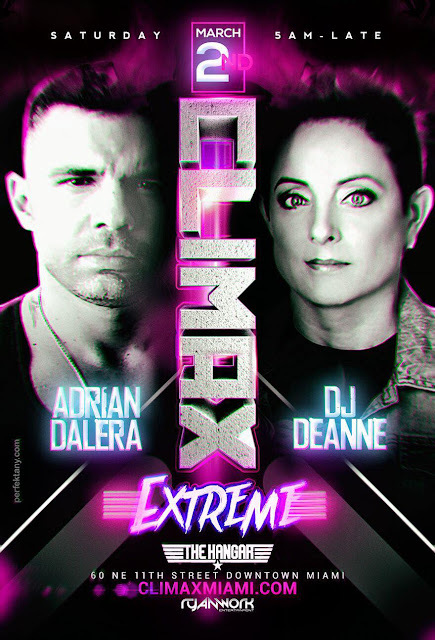 CLIMAX PRIDE MIAMI BEACH PRIDE WEEKEND! CLIMAX is ON and we are heading back to the BEACH for PRIDE! OFFICIAL SUNDAY NIGHT MIAMI BEACH PRIDE EVENT! ONLY 25 $35 Advanced Tickets Available Now! Climax 2019 VIP Black Card Holders Your Entrance Is Always Included! SATURDAY MORNING MARCH 2ND - CLIMAX EXTREME! Directly After Heat at Space walk 100 feet to CLIMAX HQ @ The Hangar! We are going all morning long! SEE YOU ON THE DANCEFLOOR & WORK!!! Doors open at 5AM - Til they kick us out! NEW YEARS DAY IN THE MORNING!! WE'RE GOING XXL SUN UP TO SUNDOWN ALL DAY LONG!!! CLIMAX is BACK with XXL Edition! New Large Venue, with state of the art patio and garden area, several rooms and lounge areas and 4 CIRCUIT DJ's for your all day extravaganza! XXL - DJ LINE UP! 4 Circuit DJ's! WEEKEND PASS TO ALL EVENTS ON SALE NOW!